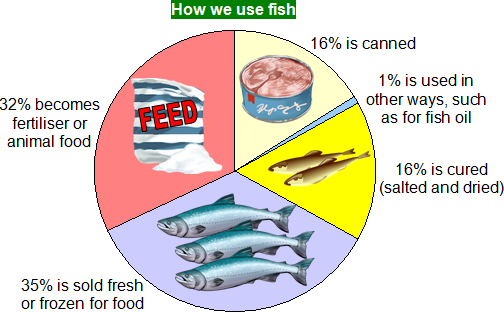 Large fishing fleets may have a factory ship which cleans and freezes the fish. This means the fleet can stay out at sea longer and catch more. Modern ships use echo-sounding to trace fish shoals (groups). A beam of sound is sent down into the water and then echoes back off the fish. A computer detects where the echo comes from. breed their own fish in fish farms. fishermen say that quotas are lowering the amount of money they can make from selling fish so are damaging their livelihoods.